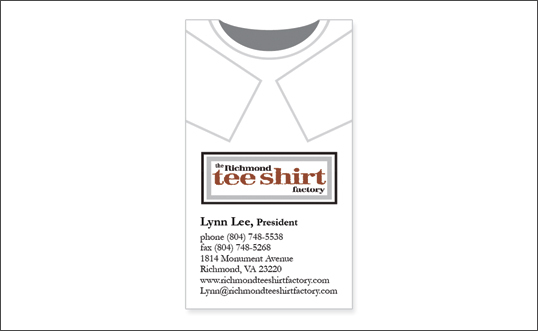 Project Details: This logo and business card were created for the Richmond tee shirt factory – a local company that screen prints tee shirts. 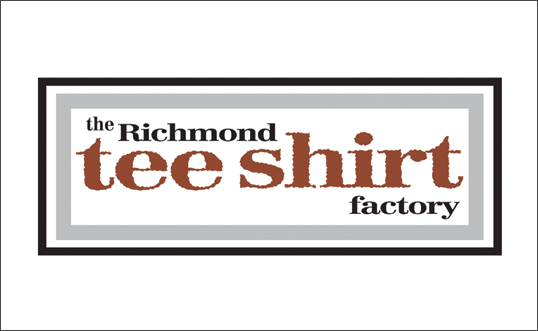 They wanted a logo that felt a little old and worn – something with texture. The typographic logo we created is reminiscent of old gears and the colors are straight from that old rusty shovel sitting in your back yard.